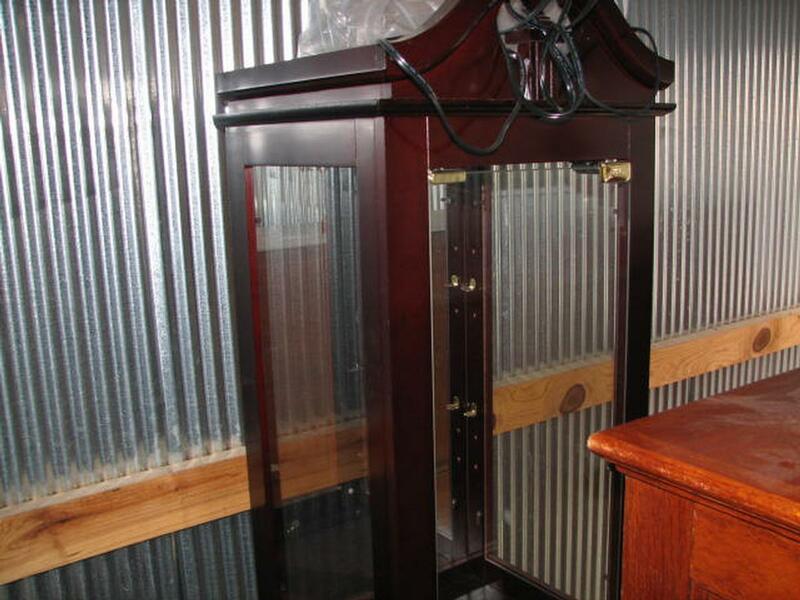 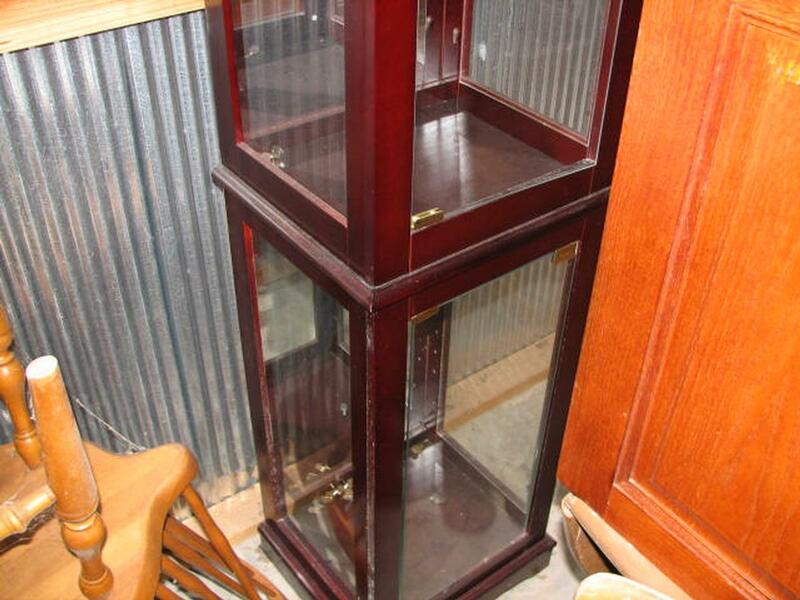 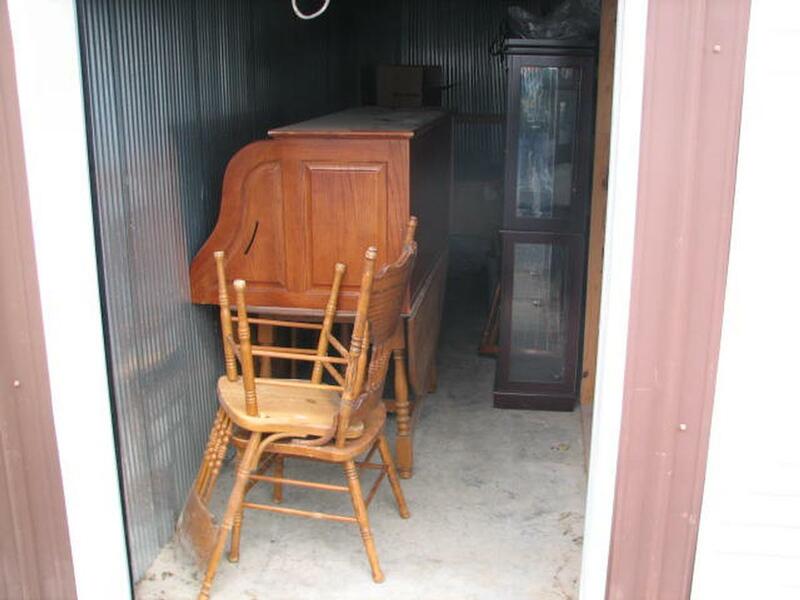 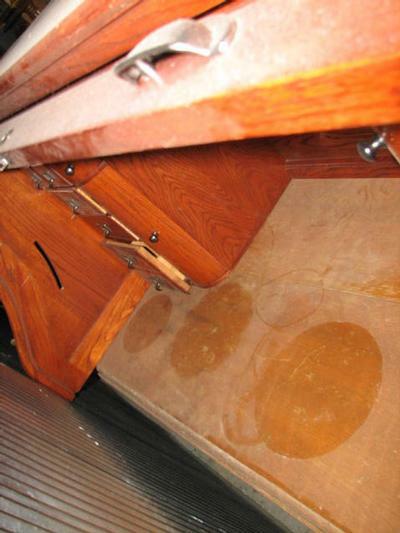 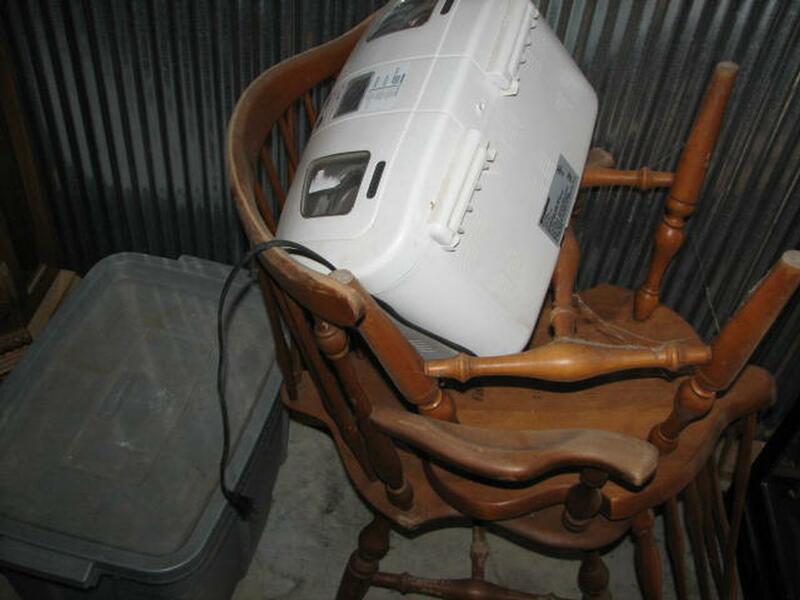 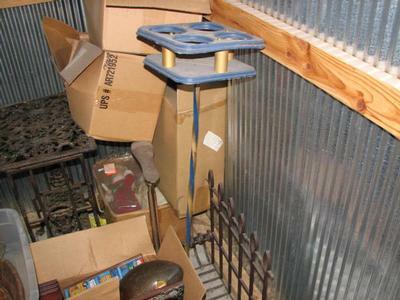 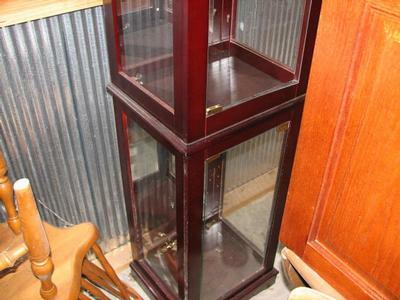 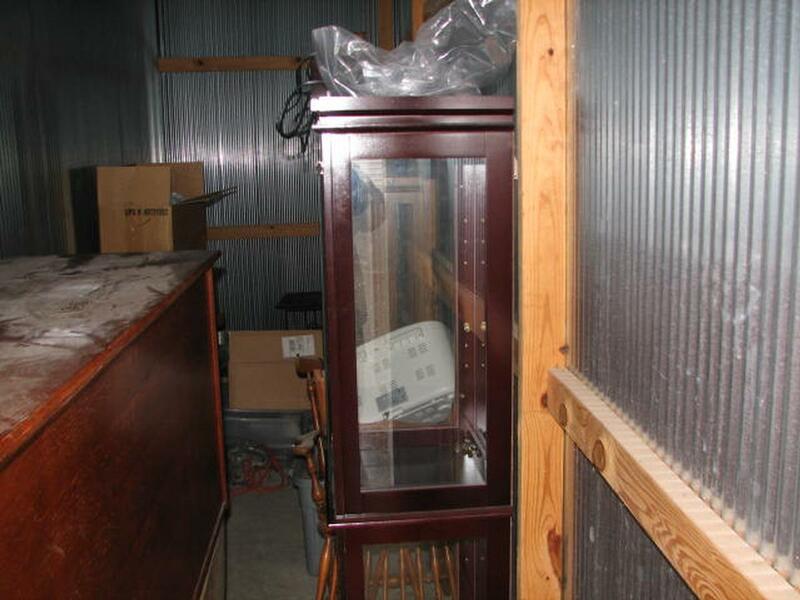 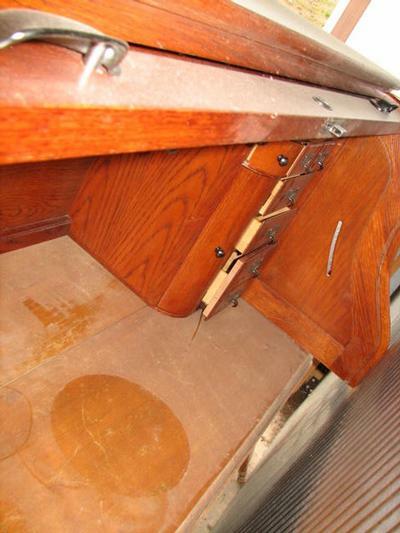 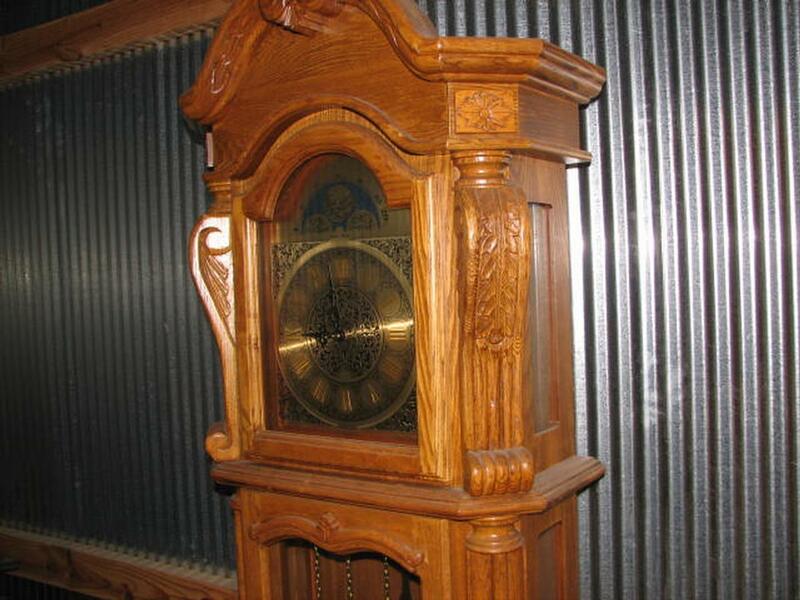 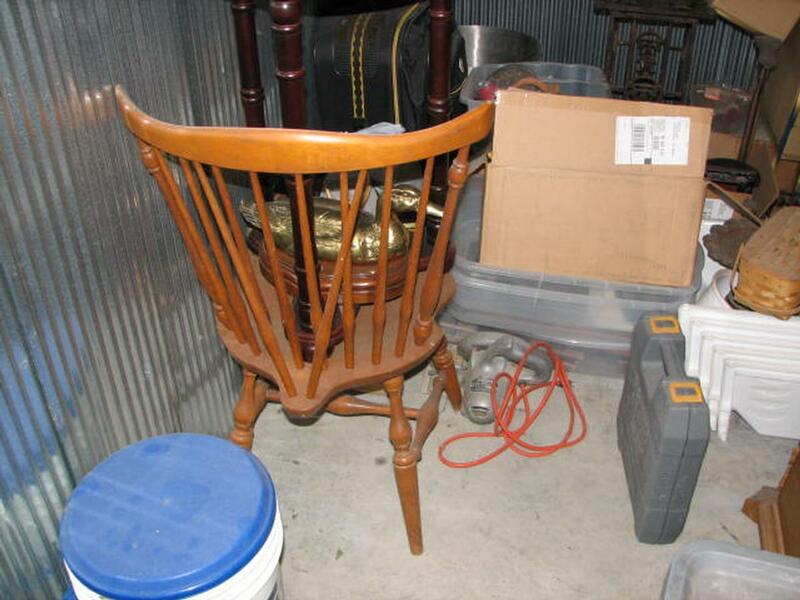 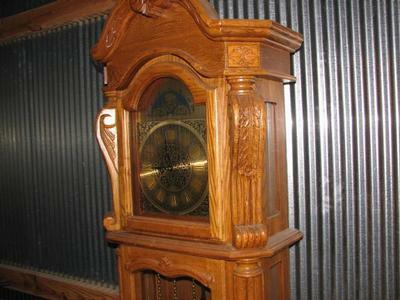 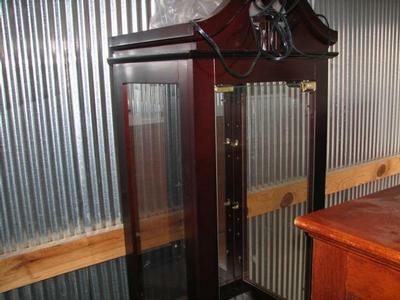 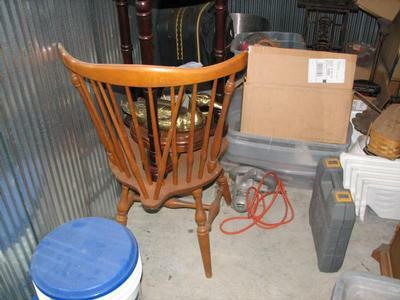 Description / Storage Unit Auction Contents : 6 ea Dinning chairs, Dinning table w/ folding leafs, Roll top desk upper part, Cairo Cabinet, Night stand, Grand Father clock, Misc. 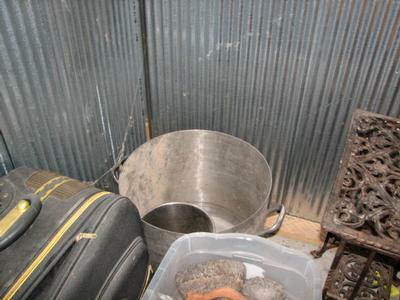 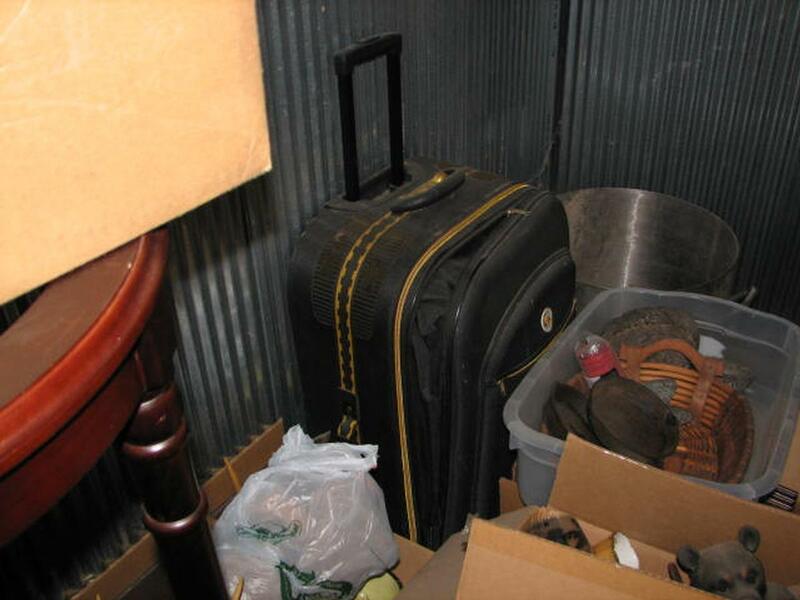 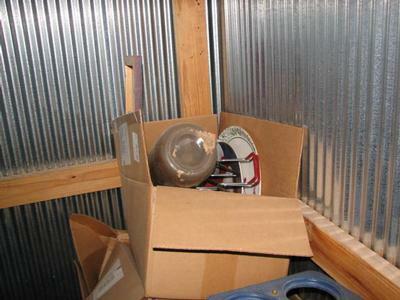 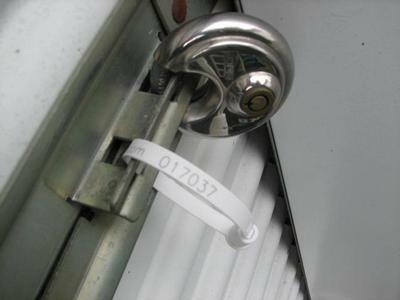 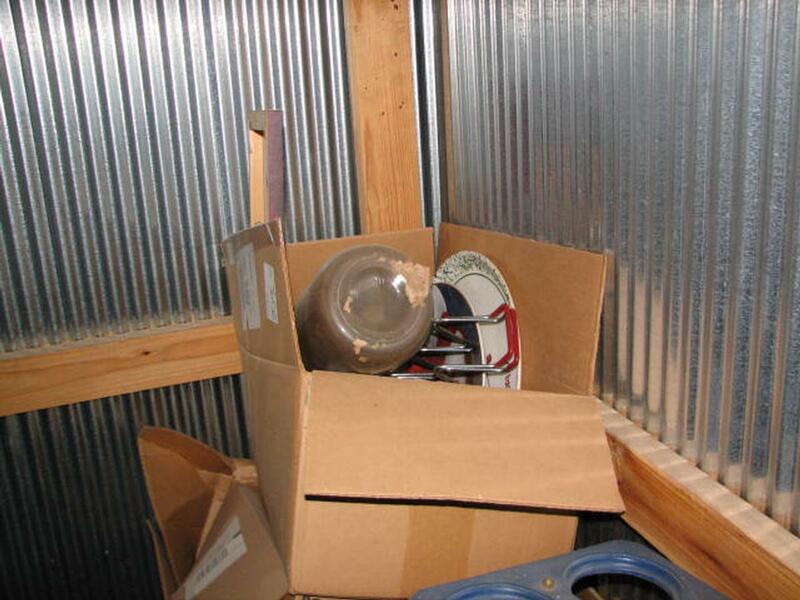 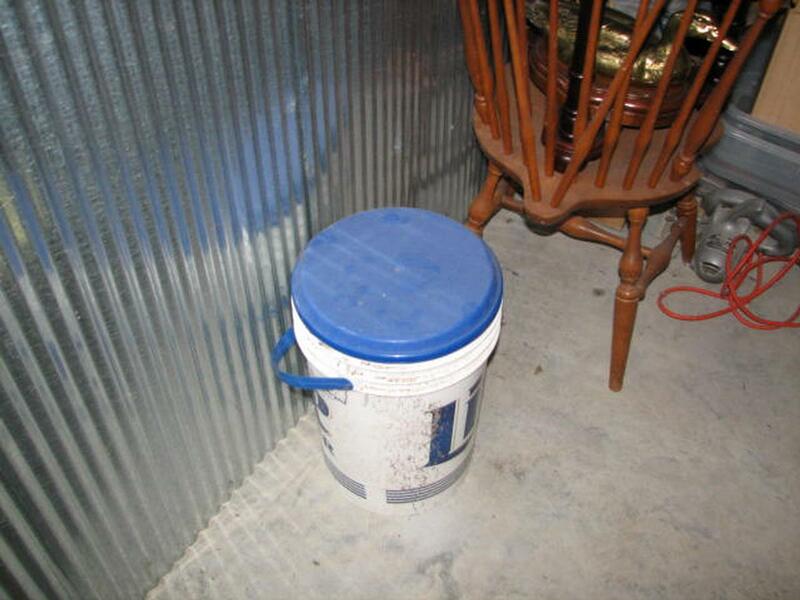 Boxes, Suit Case, Cooler, Bread Machine, Big Stock Pot, Dishes, Rot Iron Stands, Misc. 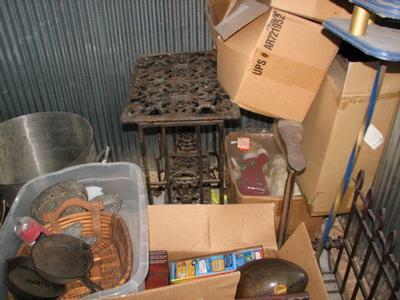 Hand tools, Holiday Decor.